Mini Mason Jar Ornament - Lovely Etc. I adore my aqua mason jars. Adore. 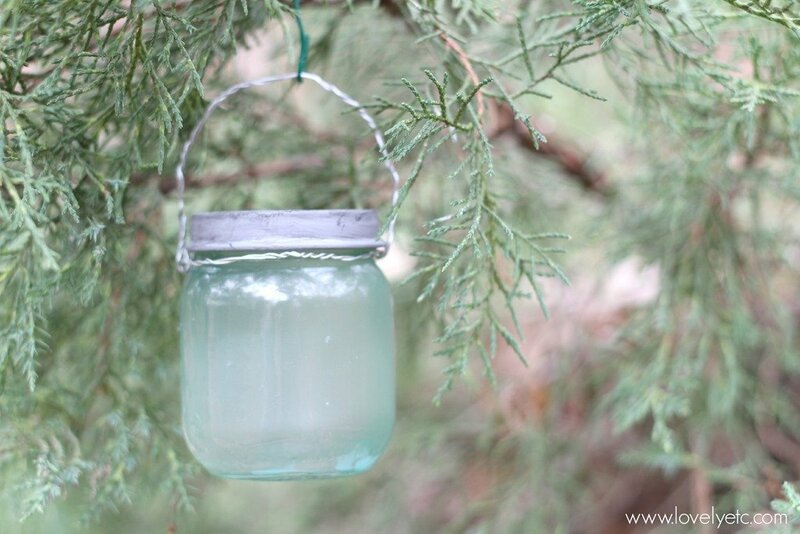 So creating a little tiny aqua mason jar to hang on my Christmas tree seemed like the perfect idea. The first step was turning it the perfect shade of aqua. I got some help from this tutorial by Craftberry Bush to create my aqua color. One word of warning – this type of coloring is not permanent. It will wash out with water. Which is great news if you mess up and need to start over. But not great if you want to put flowers or something inside. If you would prefer a more permanent coloring you can use a transparent aqua glass paint like this. 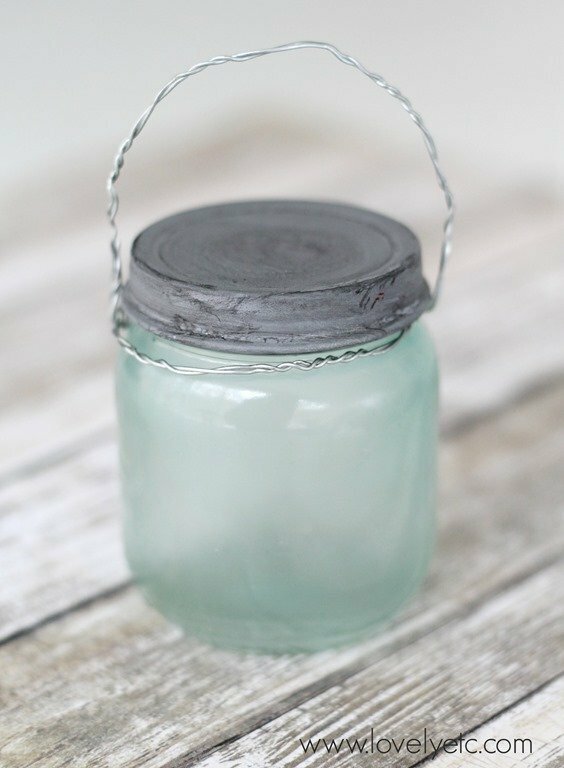 While the jar is drying, paint the lid with a couple coats of matte gray paint. Either craft paint or chalk paint works well for this. When that dries, dry-brush a little matte black paint onto the lid and then wipe off the excess with a clean cloth. This gives a beautiful aged metal look. 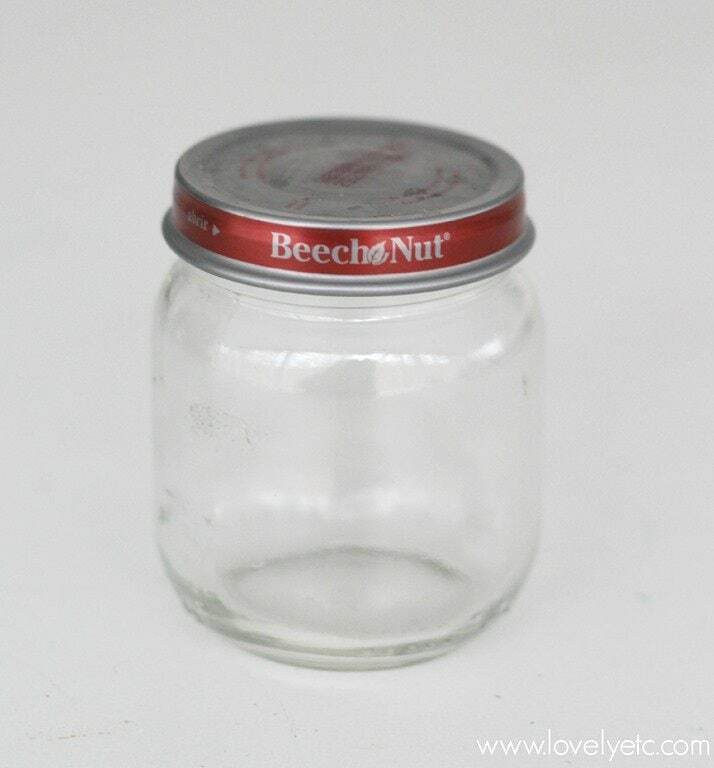 To make the little handle, I just bent a piece of wire to make a loop around the top of the jar and then bent it over to create the handle, twisting the wires together on the opposite side. Slip the handle onto the tiny jar and then screw the lid on and you have the perfect little vintage inspired ornament. I wanted so badly to add the “Ball” logo to this jar so it would match my real Ball canning jars, but it didn’t work out. I tried several different methods including using hot glue to spell it out, but nothing looked authentic. So in the end I left it logo-less. But I still love it anyway – even if it isn’t name brand! And now for my fabulous co-crafters’ handmade ornaments. As always, there are some amazing ornaments in this group. Seriously, that little car snow globe ornament is perfect! And if anyone has any brilliant ideas about how to add that Ball logo, I’m all ears! 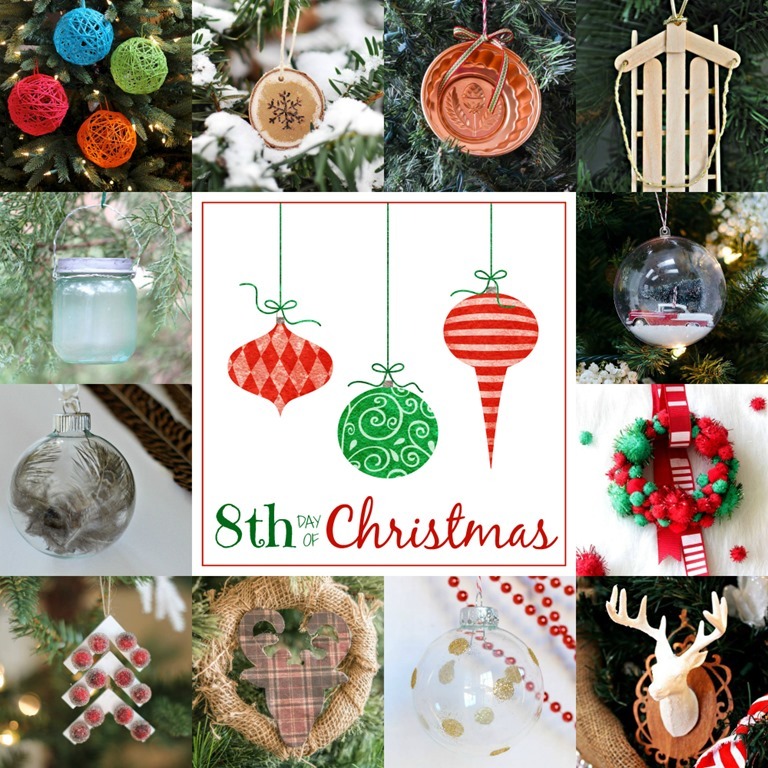 Want even more DIY ornament inspiration? 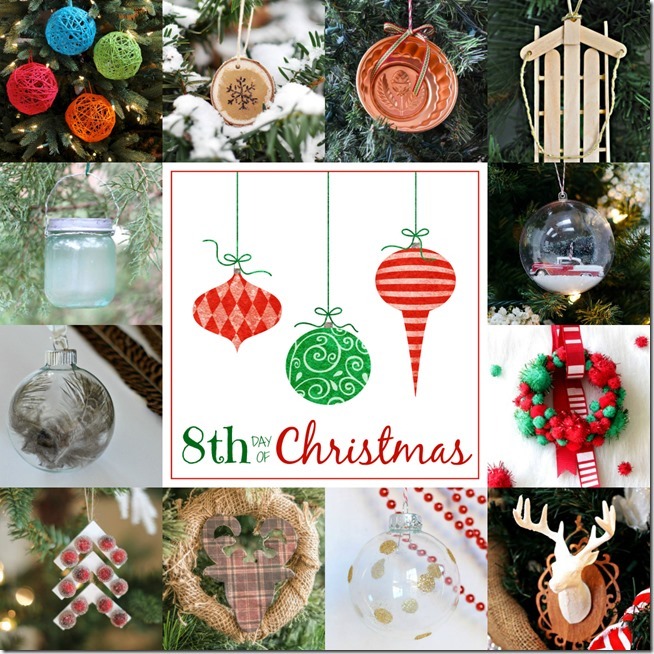 You can see all of my DIY ornament tutorials right here. This is so cute, Carrie! I can’t believe how authentic both the jar and lid look. Well done! Wow, this is really cool! I wonder if this idea would be good on old vases (just to use as decor). You got me thinking!! Thanks Ashley! Could definitely work with old vases! So many things to comment about on this post! First, congrats on your new contributor job at Domestically Speaking! So well deserved! Second, I adore all things tiny too and sooooo wish I had a tiny doll house when I was little! I actually stumbled across an odd storefront here in Chicago that turned out to be a doll house maker and I spent hours inside just loving the craftsmanship and tiny adorable-ness of it all! 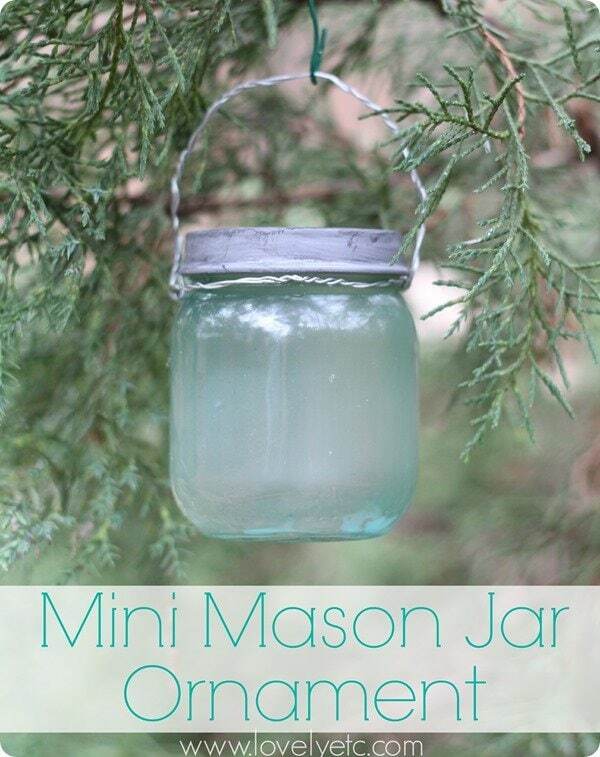 Finally, you know I’m a crazy mason jar person and this idea is AMAZING!!! Thank you Linda! I would LOVE to spend a few hours browsing in a real dollhouse shop! I know they are totally impractical – but they are just so magical! Elaine, sounds like a great idea! I’d love to see it if you do! Adorable! 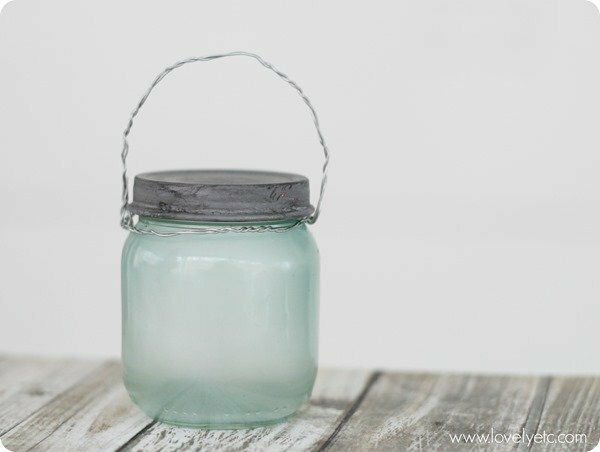 I love how the color on the jar and lid turned out and hey, congratulations on being a contributor writer over at Domestically Speaking!